A message from Jeff Ostrowski at Corpus Christi Watershed. Big News! 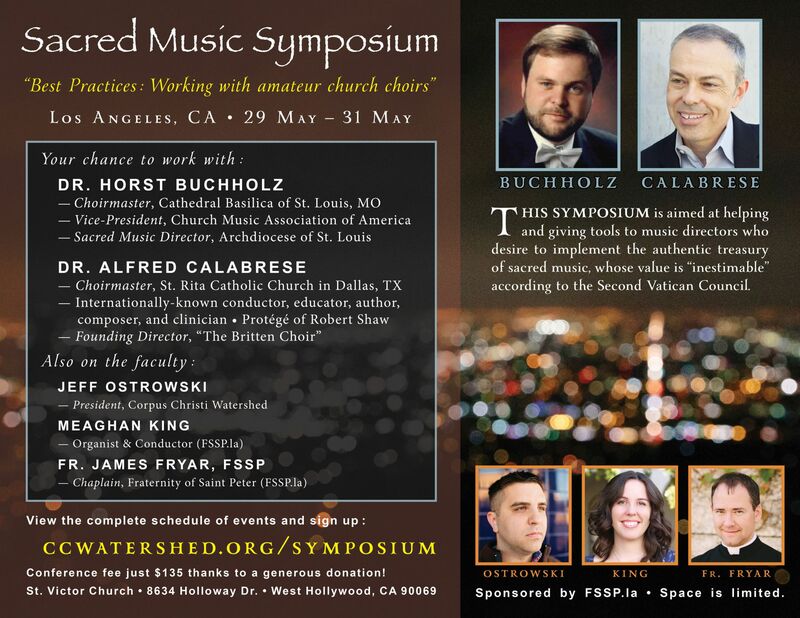 Sacred Music Symposium in Los Angeles! Send it to Catholic singers. Send it to your pastor & music director. Send it to any FAITHFUL and DEVOUT Catholic who might have a hidden interest in singing. Let me tell you the truth: many Catholics have a hidden talent for singing. We've proven this with our choir in Los Angeles. But it takes BRAVERY and COURAGE to "coax out" this hidden talent for singing. This symposium is being sponsored by FSSP.la.